Organic food lovers will love the Organic Healthy Menu that has launched at Peach Blossoms for the month of September. 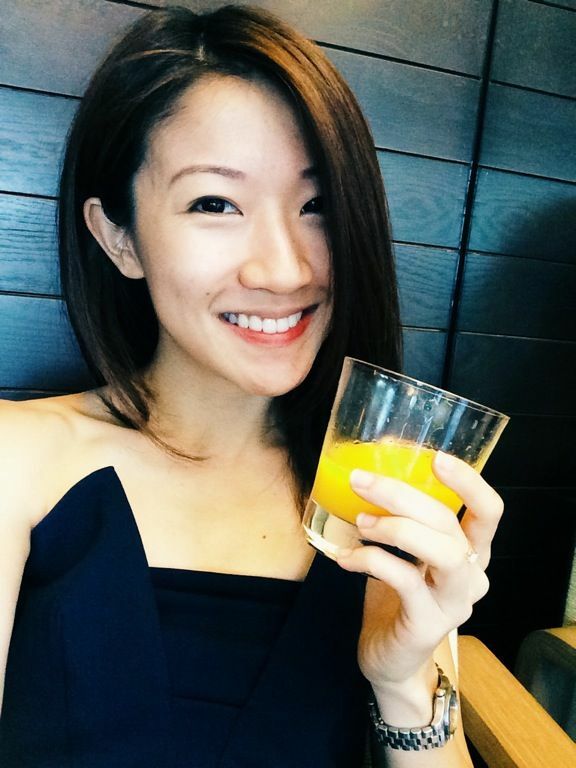 This menu is created by Chef Francis Chong, who was previously with Long Beach. 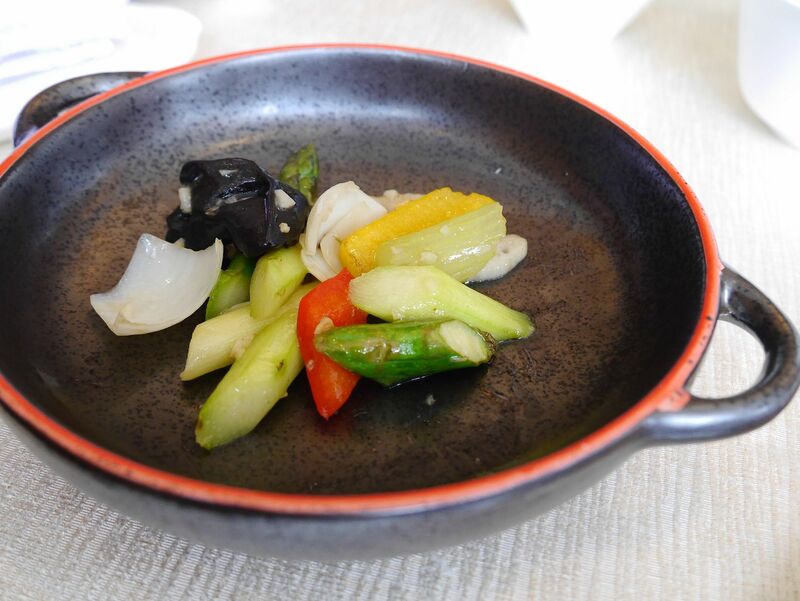 Although there seems to be many items that highlight vegetables, the seafood flavors in the stocks are evident. Need to increase your protein intake? The bean curd items on this menu are certainly impressive. Now what would you choose? 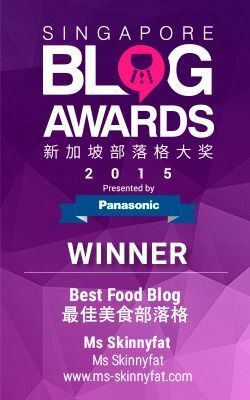 The chic black bean curd in Braised Charcoal Bean curd with Garden Green 碧绿千层炭废豆腐 ($24) or the silky elegant bean curd skin in Braised Marrow Gourd with Bean curd Skin, Shimeji Mushroom and Tomatoes 西红柿鲜腐竹松菇烩胜瓜 ($24)? We say BOTH! 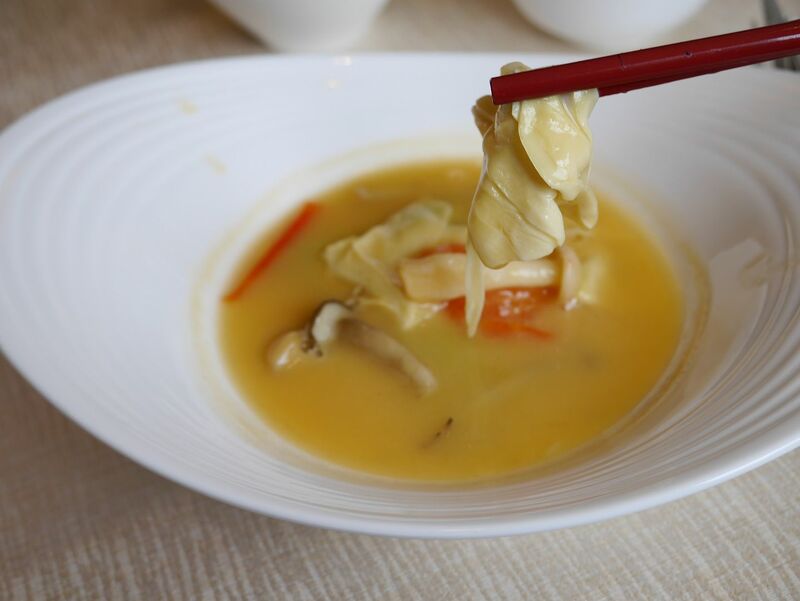 A simple dish of vegetables stir-fried with garlic, Stir-fried Lotus root, Celery, Chinese Yam and White Fungus with Organic Pumpkin Puree 有机南瓜茸炒爽菜 ($24) is a good option to have the family (especially the kids!) eating more vegetables. 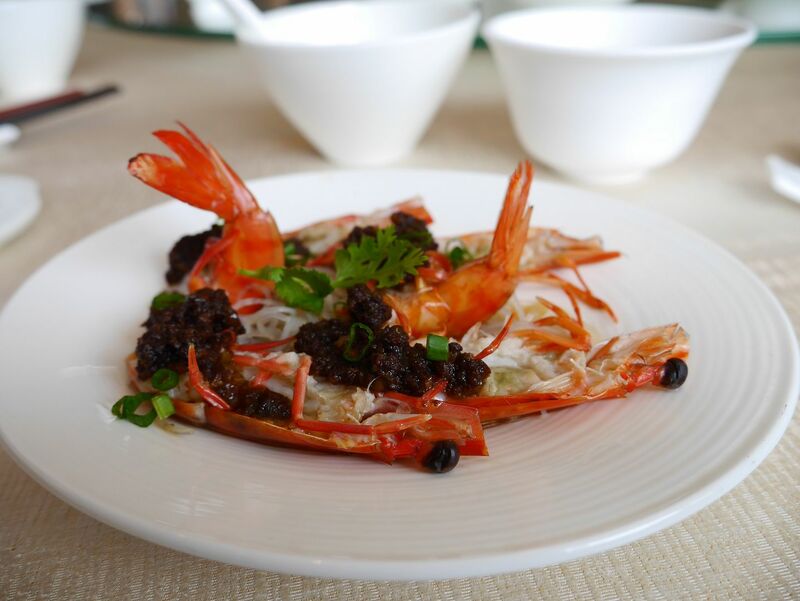 Skip the Steamed Live Prawns with Black Garlic and Glass Noodles 黑蒜粉丝蒸开边虾 ($28) unless you like mushy prawns and chalky glass noodles. 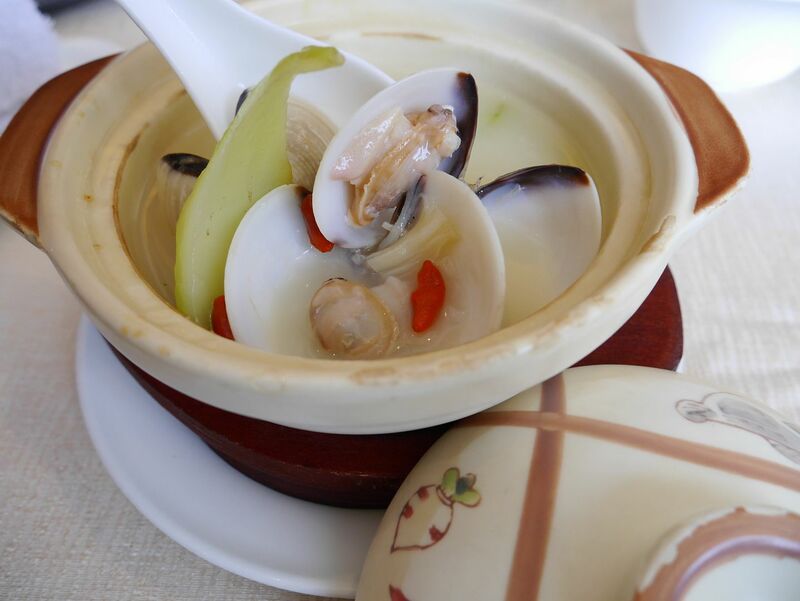 Do not miss out on Braised Lala Clams with Chinese Mustard Green served in Claypot 粥水啦啦芥菜煲 ($26). Huge juicy clams, dried scallops and goji maketh this seafood-licious broth. 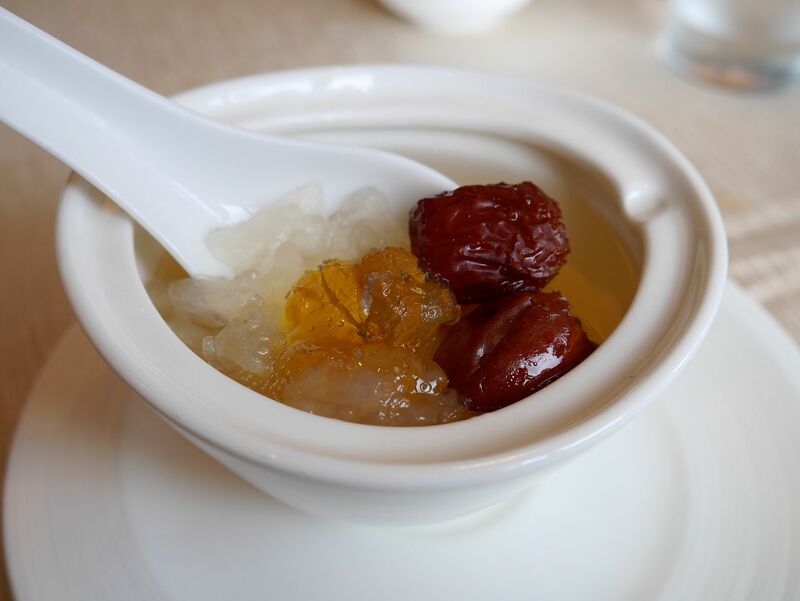 A porridge-like dish, this claypot will be popular with the old and the young. 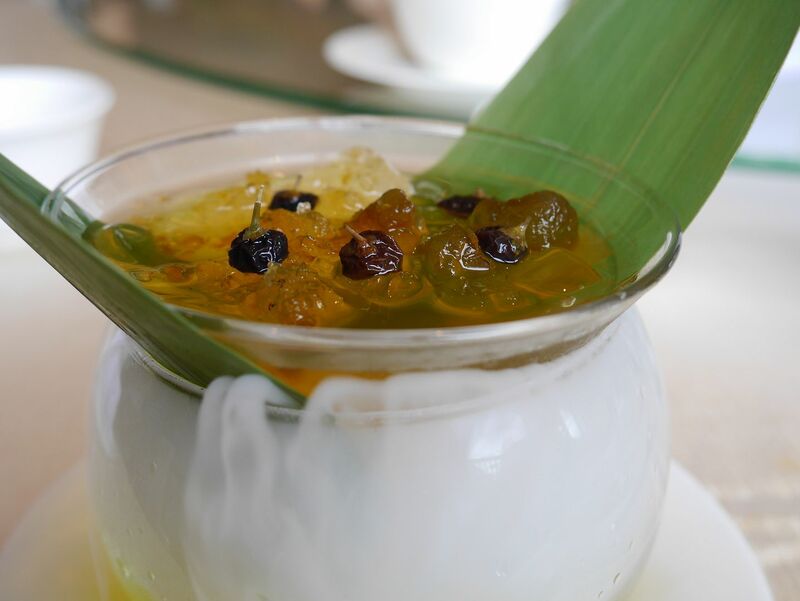 Desserts on the Organic Healthy Menu include Refreshing Lemon Grass Jelly with Peach Gum and Black Chinese Wolfberries 黑杞子桃胶香茅冻 ($12/pax) and Double-boiled Hashima with Honey Locust Fruit and Peach Gum 雪莲子桃胶炖雪蛤 ($18/pax). The former is served with theatrical misty dry ice that looked more refreshing than it tasted. Both desserts were way sweet for our liking. 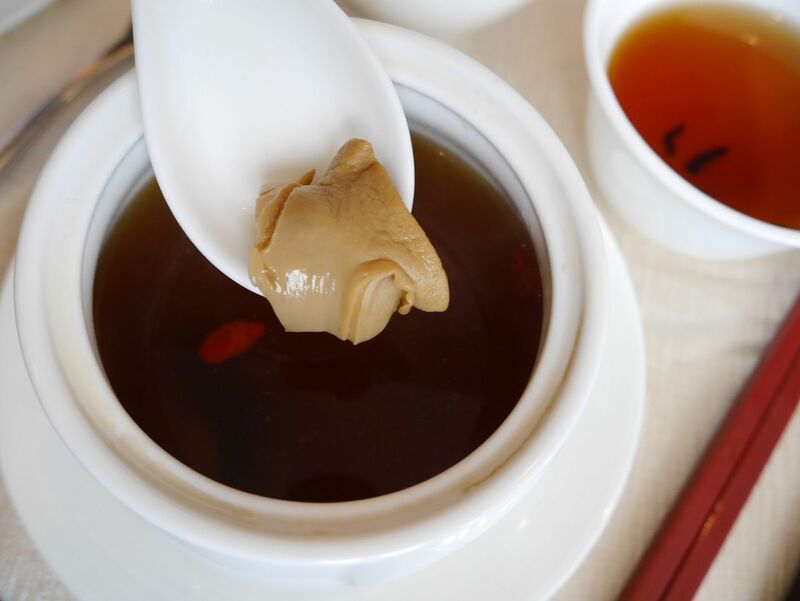 I would recommend the claypot and beancurd dishes from this Organic Healthy Menu in addition to your dim sum or usual favourites from the main menu.